Our first day at STARBASE was amazing! STARBASE is a special STEM (Science, Technology, Engineering, and Math) program that we have been invited to participate in. 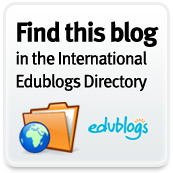 Take a look at some of our incredible learning experiences. Well, that was fun! Our class is participating in an awesome STEM, Project Based Learning program called, STARBASE. This program investigates areas of Chemistry, Engineering Design Process, Robotics, Logic and Math, Fluid Mechanics & Aerodynamics, to name a few. The students were so excited (and I was too!) Check out our Animoto to have a look at some of our learning. We have 4 more STARBASE sessions, so stayed tuned for more awesomeness! Techie Kids– What was your favorite part of our first day of STARBASE? 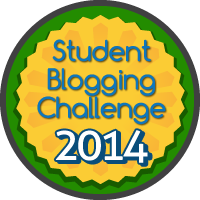 Blogging Buddies– Have you participated in any similar programs or projects in your class? Tell us about it. Today, we were able to meet Mrs. Monaghan’s class in England through Skype. During our blogging conversations, we discovered words we didn’t know and items we hadn’t heard before. We found out that we sometimes call the same things by different names. So, we decided to play a game of International Show and Tell. Middleham started us off, “We think you might not know what a Fat Rascal is.” And, we didn’t. When they showed us what it looked like, we yelled, “It’s a cookie!” They told us it was actually a scone. None of the children in our class eat scones, but adults sometimes have it with coffee. We knew 3 of their terms. Here’s an Animoto of the excitement. Only 1 student in Mrs. Monaghan’s class had heard of a S’More before. They told us that they would be going camping soon. We thought it was important that they knew how to make these delicious snacks before they left! Here’s our Snapguide teaching you how to make a S’More. Check out How to Make a S'More by Kelly Moore on Snapguide. There were many more items we wanted to share, but didn’t have time. Here is a SlideShare game we made for you. See if you can figure it out before clicking to the next slide. Thanks for a super fun game! Which items did you know by name? Which items were new to you? Did you have any other items you wanted to ask us? We sure do love to read! Here’s a peek at some long overdue slideshows that we made showing how much fun we can have with reading. Enjoy! Can you tell us about your favorite book or series? Skyping with Mr. Kruger’s Class! Today we were able to connect with Mr. Kruger’s 3rd grade class in Minnesota. It is always fun to meet new friends. Both of our classes were ready to talk about our communities. Here is some of what we learned. They visit the Minnesota Zoo or the Como Zoo. The Como Zoo is free! Many students visit their cabins on the weekends. Their community has the largest free fair in the state. It is held in August. Several of the students shared about some special jobs that their families have. Gopher Sport makes athletic and fitness equipment. Viracon-This company makes the glass and tints for windows. Their glass is being used in the new World Trade Center building in New York. Construction and Insurance– This area provides insurance to many large companies. Josten’s– They created the designs for the Super Bowl rings. Mayo Clinic– This is a very special, well-known medical center that helps to diagnose and treat patients. Their community has about 25,000 people. We discovered that our temperatures are very similar, which makes sense because we are very close in location. They are hoping to get some snow tonight! Thank you for helping us learn more about our world! Do you have any questions you did not have time to ask? Tell us a fun fact about the area you live in. The Techie Kids are so excited because they were finally able to Skype with Mr. Avery’s class! This was the first time that students in this building have been able to Skype at school. For many of the children it was their first time using Skype ever! 61 Techie Kids were able to sit in on this call. We have learned so much this year from our blogging buddies. Here are just a few of the things we learned when meeting our friends. The capital of Massachusetts and most populous city is Boston. Massachusetts is ranked 14th in population out of the 50 states in our country. That’s pretty significant because they are one of our smallest states in size. 4 of our United States presidents were born in Massachusetts! They were John Adams, John Quincy Adams, John Fitzgerald Kennedy, and George Herbert Walker Bush. That is pretty amazing! Massachusetts’ state bird is the Black-Capped Chickadee, their state dog is the Boston Terrier, and their state cat is the Tabby cat. A few of the Techie Kids have Boston Terriers and Tabby cats as pets. The Massachusetts state flower is the Mayflower. That got our students attention because we had just learned a lot about the ship the Mayflower in the weeks leading up until Thanksgiving. Their state nickname is the Bay State. Massachusetts is 10,555 sq miles. The highest point is Mt. Greylock at 3,491 feet. Mr. Avery’s class likes to play soccer and football. We compared their life near the salt water of the Atlantic Ocean to our life near the fresh waters of the Great Lakes. We learned that their wildlife is very similar to ours with the exception of the Right Whale! Right as opposed to “left” or “wrong.” We couldn’t believe that so many of them were able to go whale watching. Mr. Avery’s class has really inspired our students to create their own videos. They even shared their movie making process with us. To see some of their amazing videos, CLICK HERE and HERE. Check out some of the pictures that the Techie Kids took during our Skype call. Take a peek at this website and look for fact sheets on each of the states in our country. Thank you Mr. Avery’s class! Are there any other interesting facts about Massachusetts that you think we should know? What was your favorite part about our Skype call? Do you collect so much Halloween candy that you still have leftovers at Easter? If so, here is a great way to put that extra candy to good use! The U.S. Military currently has hard working men and women stationed overseas. They would greatly appreciate a sweet snack. Starting today through next Monday, November 7th, our students and families can donate their extra Halloween candy (or any candy), and it will be sent overseas to our troops. Not only is this a nice thing to do for our troops, but it will also get our students thinking about healthy choices. It is a healthy choice to only eat candy in moderation, and many of us get much more candy than can be eaten in moderation. So this is a great opportunity to share and focus on our health. Thank you in advance for your kindness and thank you for thinking about healthy eating choices. Here is a little peek at what we’ve been up to this week. …and had some costume fun on Friday’s Spirit Day! What are some of your Halloween traditions? Have you ever donated something before? How do you feel about healthy eating choices?